Preview images and official CW description with spoilers for the Legacies TV series episode "There's A Mummy On Main Street"
The CW has released some preview images and an official description for “There’s A Mummy On Main Street” which is the Thursday, February 28 episode of Legacies. SPRING BREAK ROAD TRIP — When the urn goes missing, Alaric (Matthew Davis), Hope (Danielle Rose Russell), Josie (Kaylee Bryant), Lizzie (Jenny Boyd), Kaleb (guest star Chris Lee), Dorian (guest star Demetrius Bridges) and Emma (guest star Karen David) hit the road to locate the artifact before the next Malivore creature arrives. Meanwhile, Lizzie takes aim at Hope for all the past spring breaks she’s ruined. Finally, the group bands together when a town-wide quarantine threatens to expose their supernatural identities. Julie Plec directed the episode written by Marguerite MacIntyre & Sherman Payne (#110). Original airdate 2/28/2019. 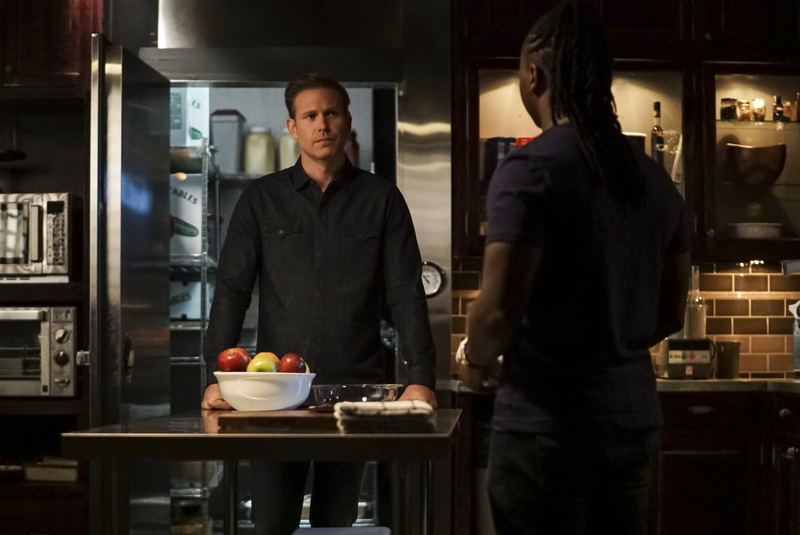 Legacies -- "There's a Mummy on Main Street" -- Image Number: LGC110a_0038bc.jpg -- Pictured (L-R): Matthew Davis as Alaric and Christopher De'Sean Lee as Kaleb -- Photo: Richard Ducree/The CW -- ÃÂ© 2019 The CW Network, LLC. All rights reserved.